The Mystery Inc. gang is going to have an all-new look in Warner Bros.' animated Scooby-Doo movie. Longtime voice actor Matthew Lillard is gone as Shaggy (and he's not happy about it), replaced by Will Forte; Frank Welker is back voicing his pal Scooby as he's done since 2002, and Gina Rodriguez was recently cast as team brain, Velma. We now also know who will be voicing the team's final two members, Fred and Daphne, as well as the movie's shortened new title. 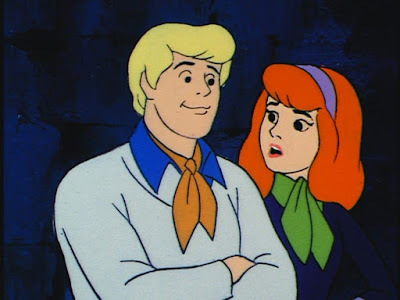 Zac Efron and Amanda Seyfried have joined the cast of Scoob, playing Fred and Daphne, respectively. Yes, Scoob appears to be the title according to Deadline. Not sure what the point of that is other than to alienate the very fans who would even want to see a Scooby-Doo movie. Whatever. Anyway, Efron and Seyfried are good choices for those characters. Fred is the de facto leader of the team, well-dressed in his ascot and with perfect hair. Daphne began as something of a ditz attached at the hip to Fred, but in latter seasons grew into a stronger, more independent woman. This version of Scooby-Doo will include other Hanna-Barbera characters such as Captain Caveman, who will be voiced by Tracy Nelson. The film will open on May 15th 2020 with Tony Cervone directing.